A study at the University of Texas M. D. Anderson Cancer Center in Houston has enabled researchers to identify risk factors that can determine whether cancer is likely to occur in a woman's second breast after cancer is diagnosed in one breast. This study was conducted to indicate which breast cancer patients might benefit from preventive mastectomy of the second breast, referred to as the contralateral breast. The study, to be reported in the March 1, 2009 issue of the journal CANCER, included 542 patients who had both breasts removed between 2000 and 2007. Even though only one breast had been diagnosed with breast cancer, the contralateral breast in all 542 patients was removed as a profilactic measure. Researchers looked at tissue cells from both breasts, the cancerous one and the contralateral, supposedly healthy, breast. However, contralateral breast tissue confirmed that 5 percent of the patients already had cancer in that breast and 15 percent more had abnormal cells in the breast tissue that could lead to breast cancer. 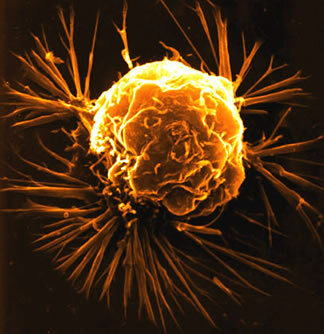 a chronilogical age of 50 or older and the presense of highly invasive cells at the initial cancer diagnosis. This study reveals very pertinent and specific information that we should all ascertain from our doctors if a diagnosis of breast cancer is found in one breast. Prophilactic removal of the second breast could mitigate future suffering for many women with breast cancer diagnosis. *The Gail score is a Breast Cancer Risk Assessment Tool designed to estimate a woman's rick of developing invasive breast cancer. If you would like to assess your risk, you can use the Breast Cancer Risk Assessment Tool on the National Cancer Institute website. Twitterlebrities & Politicians Not Safe on SuperNews!